Originally from Southern Italy and later adopted by the UK & US in the 1700s, Mac ‘n’ Cheese is the ultimate indulgence. Many lay claim to the title of ‘World’s Finest’, but few taste as gloriously cheesy as our own. 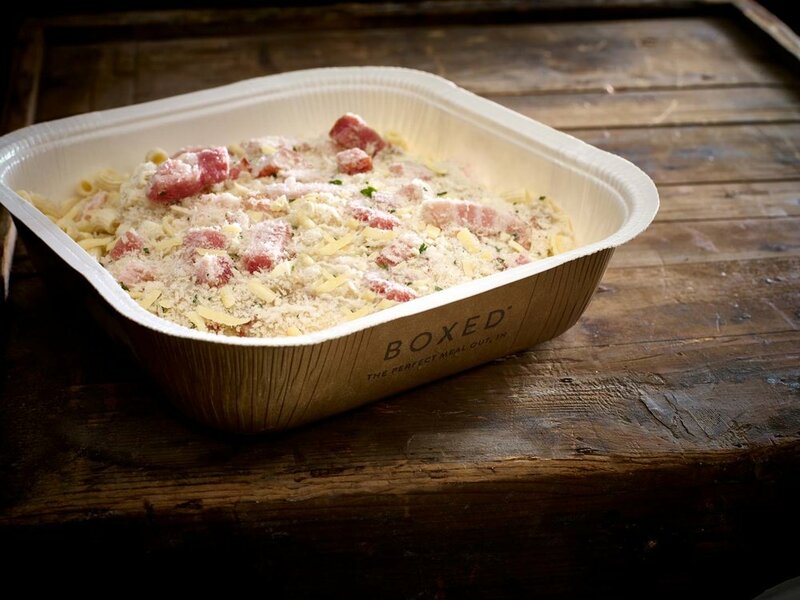 To give our recipe the edge, our chefs have loaded it with smoked Italian pancetta, our delicious four cheese blend of Emmental, Italian Parmesan, British mature Cheddar and Mozzarella, and finished with tangy sun dried tomato. A serious contender for the comfort food crown. Freezing is nature’s preservative. 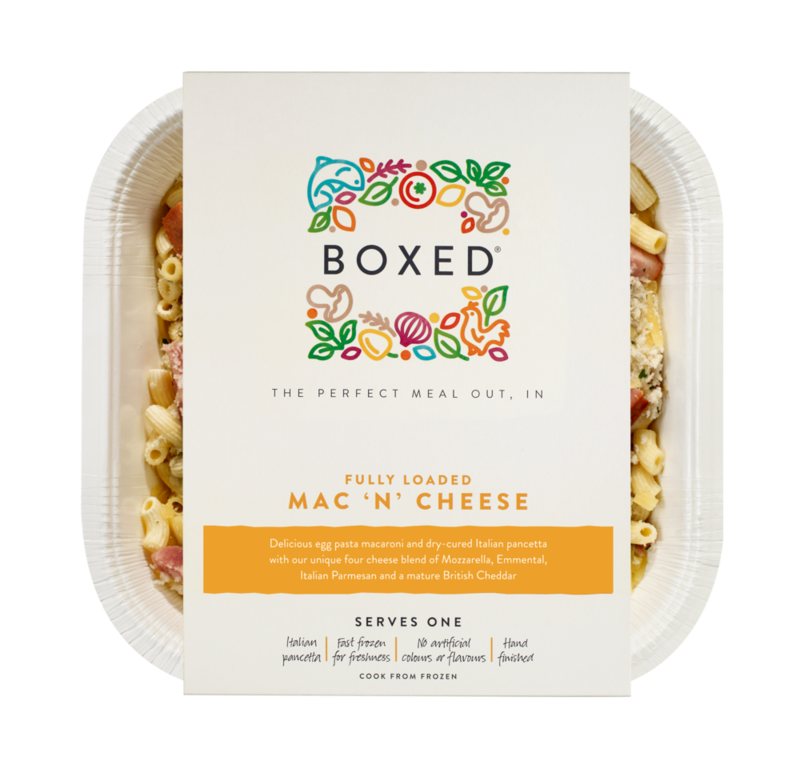 It’s the most natural way of keeping our mac 'n' cheese at its best because there’s no need for artificial colours, flavours or additives. Freezing pasta stops it soaking up moisture and leaching starch back into the sauce. And we only ever use fresh free-range egg pasta, combined with our rich, creamy sauce, to give the perfect texture when cooked from frozen. It’s Friday night. You’ve picked the film, you’ve poured the drinks, you’ve dimmed the lights. Now, what’s for tea? Our ‘movie night’ mac ‘n’ cheese is the perfect support for a weepy guilty pleasure, indie masterpiece or critically acclaimed epic. Freshly prepared and produced ahead of time by us, ready to cook in time for the opening credits. For best results, cook in the oven. Pierce film lid several times. Place on a baking tray in the centre of a pre-heated oven 200°C / FAN 180°C / Gas Mark 6 for 55 minutes. Remove film lid and cook for another 5 minutes. Finely slice 5 tomatoes and layer on a serving dish. Combine 1 tsp. Dijon mustard, 2 tbsp. white wine vinegar, 1 tsp. caster sugar, 1 bunch of finely chopped fresh basil, salt and pepper in a bowl into a smooth paste. While whisking, slowly add 4 tbsp. olive oil until it’s a pouring consistency. Pour over the tomatoes and leave in the fridge for 1 hour before serving to marinade them. Combine 1 tsp. Dijon mustard, the juice of ½ a lemon, salt & pepper in a bowl. While whisking, slowly add 4 tbsp. olive oil until it’s all combined and you have a pouring consistency dressing. Pour over 1 small bag’s worth of rocket leaves and half a bulb of finely sliced fennel, and serve. Cheesy comfort food calls for dry, zesty, lightly sweet white wines. For mac ‘n’ cheese, a Riesling is ideal. Its sweetness will perfectly balance the salt in the cheese, while its acidity will help to clean and refresh your palate.